. 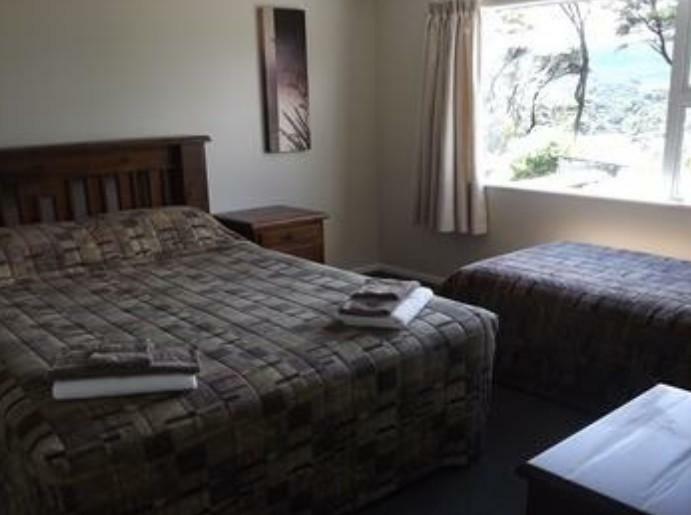 إن Coromandel Seaview Motel Style B&B حريص على توفير الراحة للنزلاء، فلا يوفر الموظفون جهداً في تقديم أفضل الخدمات وضمان حسن الاستقبال. يقدم الفندق واي فاي مجاني في جميع الغرف, واي فاي في المناطق العامة, صف السيارات, خدمة الغرف, غرفة عائلية لضمان الراحة القصوى لضيوفه. بالإضافة لهذا,تتضمن كل غرف الضيوف مجموعة واسعة من وسائل الراحة . بعض الغرف توفر حتى تلفزيون بشاشة مسطحة, اتصال لاسلكي بالإنترنت, اتصال لاسلكي بشبكة الإنترنت (مجاني), غرف لغير المدخنين, تدفئة لإرضاء أكثر الضيوف تطلباً. يقدم الفندق مجموعة رائعة من الخدمات كمثل مسار جولف - ضمن 3 كم, سبا, حديقة, رياضات مائية (غير آلية)، لجعل إقامتك تجربة لا تنسى. 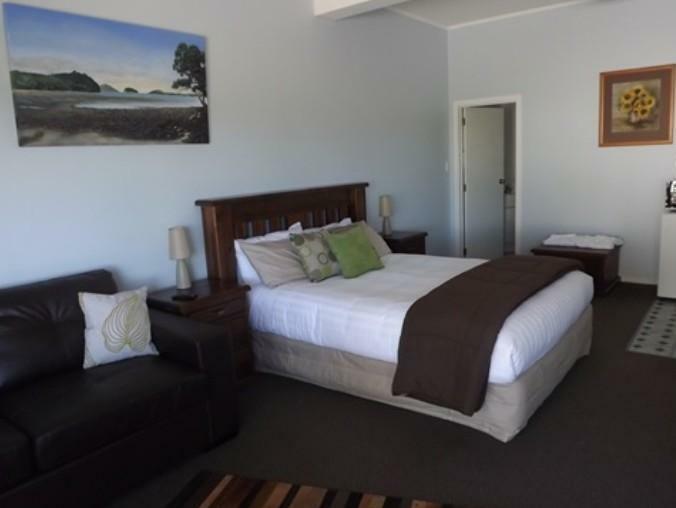 مهما كانت أسبابك لزيارة كورومانديل، فإن Coromandel Seaview Motel Style B&B هو الخيار الأفضل لإقامة مثيرة وممتعة. The building is on high ground, the view from my room was spectacular, it was also very clean and spacious with good facilities. The owners were very nice friendly people the place is a credit to them. Thank you for a lovely stay. Really good for the money. Nice view and really nice service provided by staffs. This is one of the best locations we stayed in with a very large comfortable well furnished room. Advertised as a room with breakfast but didn't include breakfast! Welcoming hosts. What I love was the very friendly and warm welcome I received and the hospitality extended to me. Our stay at Why Worry B&B was amazing. The rooms were very spacious and modern. BBQ outside was handy to cook our own dinner. Views and spa were excellent. Would definitely recommend. 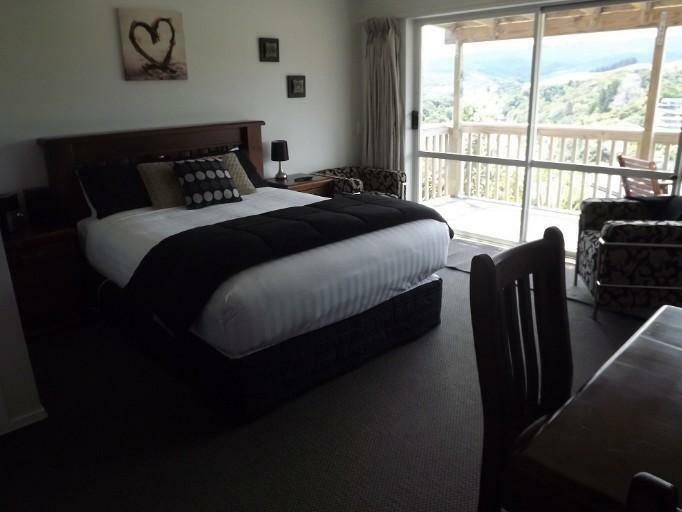 Fabulous views, very clean, comfy and well presented rooms. 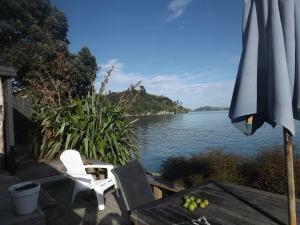 Perfect place to stay when visiting Coromandel Town. Liked the motel style rooms which were well appointed. Deb & Gail were very helpful, friendly hosts. Wishing you all the best with your new venture. Hope to return and go fishing sometime. We were upgraded to the family suite, which was large enough for everyone, with several bunk beds. There was a good laundry facility, and stunning views. The outside bathroom was a little strange, but worked fine for everybody. Very relaxing, quiet, comfortable, beautiful surroundings with very friendly staff that bent over backwards to make our stay very enjoyable. We would stay again and recommend this motel style B & B to all. We enjoyed our stay in this somewhat remote location. The room was large and comfortable with wonderful coastal views. 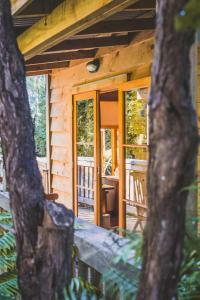 Very private accommodation. Breakfast by hosts was excellent as was the conversation over meal time. A very casual atmosphere added to the enjoyment of the nights stay. We had a pleasant stay in a spacious clean room. Even though we didn't go fishing, others did and we could see they had had a good haul of fish and were well pleased with their day at sea. 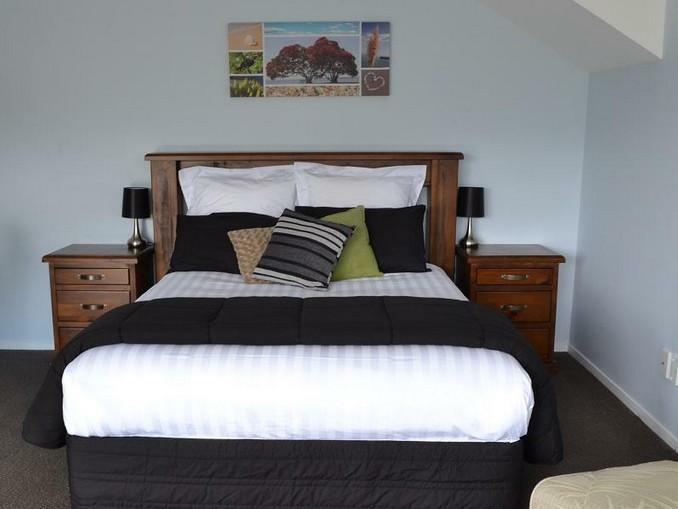 This B&B was an ideal place to stay when visiting the beautiful Coromandel peninsula. Nice hosts. Nice views over bays and hills. Quiet location just outside town centre. Internet. Although a little way out of the town, what a fantastic place to stay. The views were just spectacular. The room was basic but very comfortable. Breakfast was continential and served by the owners. Homemade produce was served which was very tasty. The only thing lacking was the attention to detail. ie the room was not as clean as it could have been. I suffer from asthma and had problems with the dust. det var ok men rummet saknade badrum ensuite. för att nå badrummet fick man gå ut via verandan och en halvtrappa ner. i badrummet fanns även en tvättmaskin som användes av de andra gästerna (3 rum). rummet var inte inrättat med bra belysning utan enbart med ett starkt lysrör i taket. de övriga 3 rummen på b&b var bättre och det med utsikt över hamnen rekommenderas om man vill vara lite avskild från övriga gäster. personalen var trevlihg och frukosten ok men enkel. ville man ha bacon och ägg fick man erlägga en avgift. det fanns fri tillgång till en jacuzi.